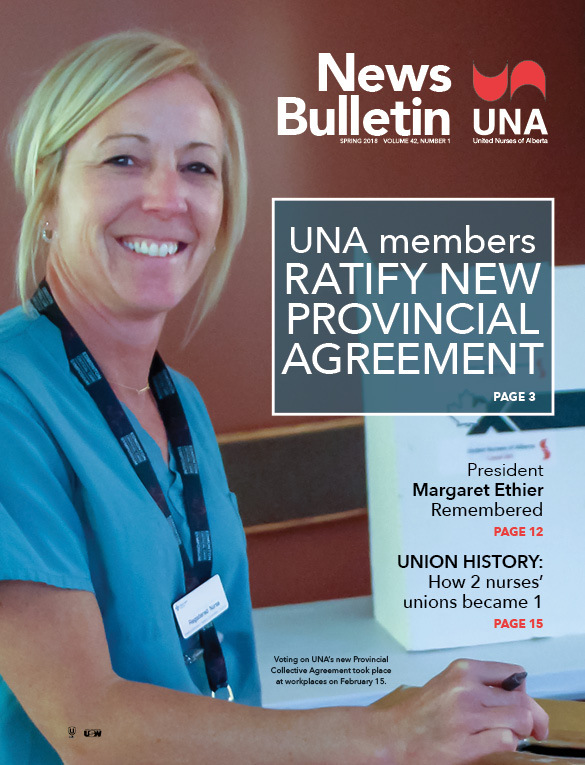 UNA’s NewsBulletin is published several times a year and sent to all members. 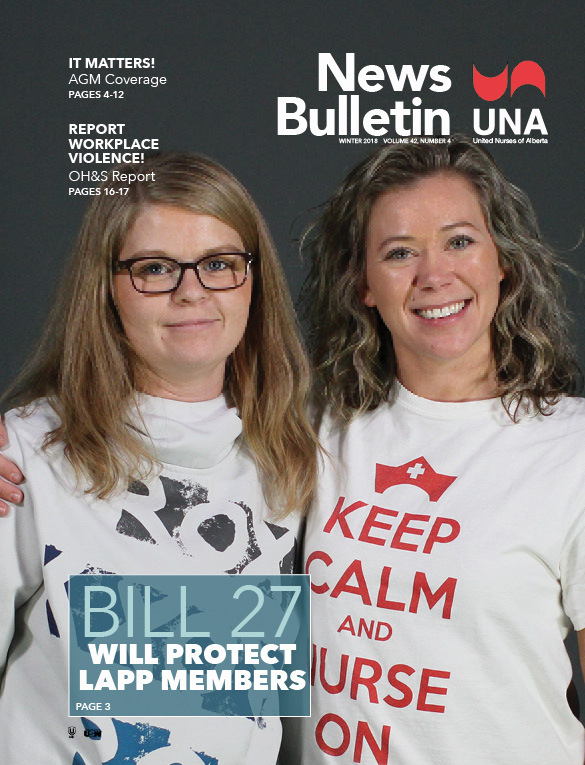 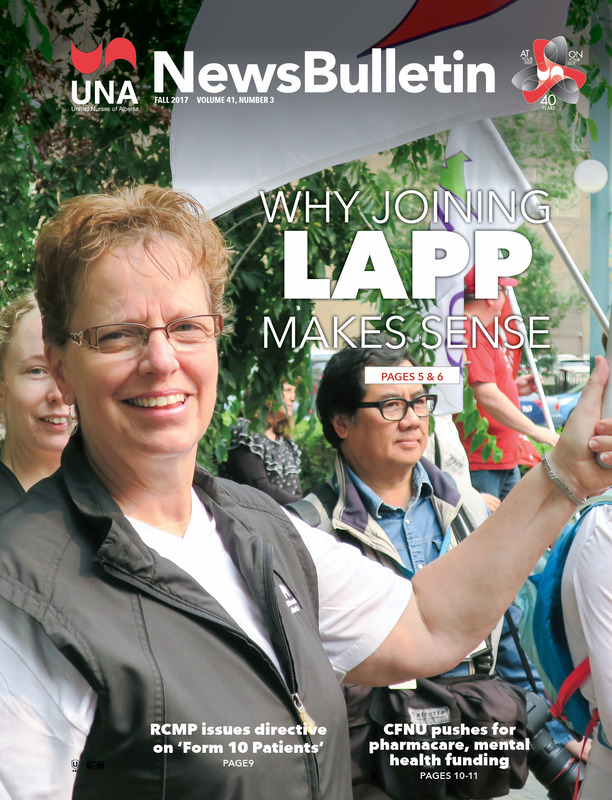 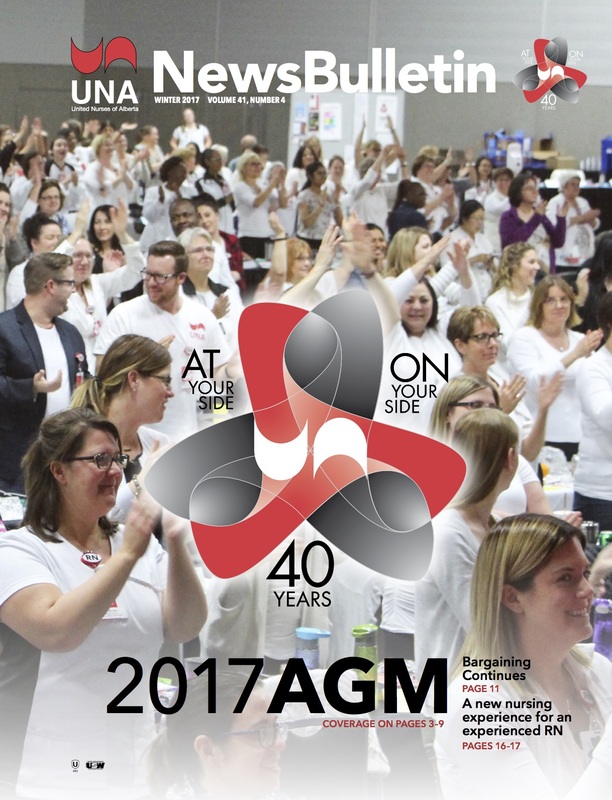 The publication contains news of members’ activities, plenty of photos, information on union initiatives, occupational health and safety and our collective agreements. 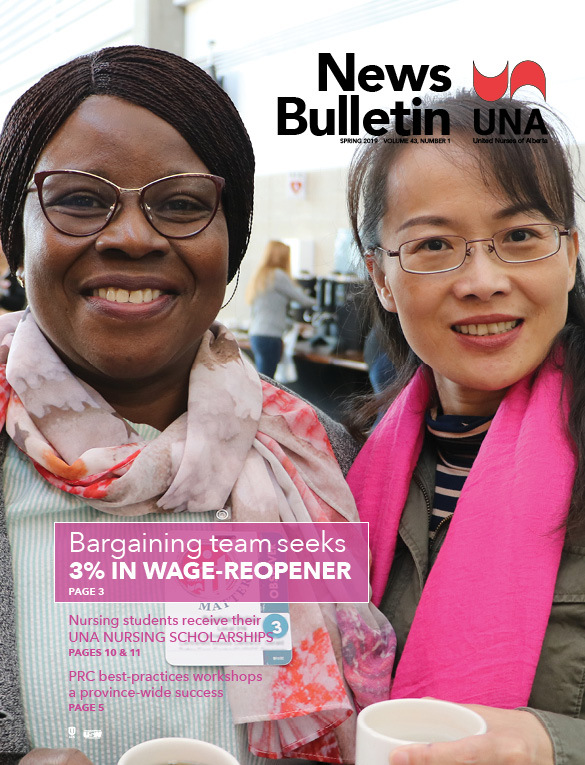 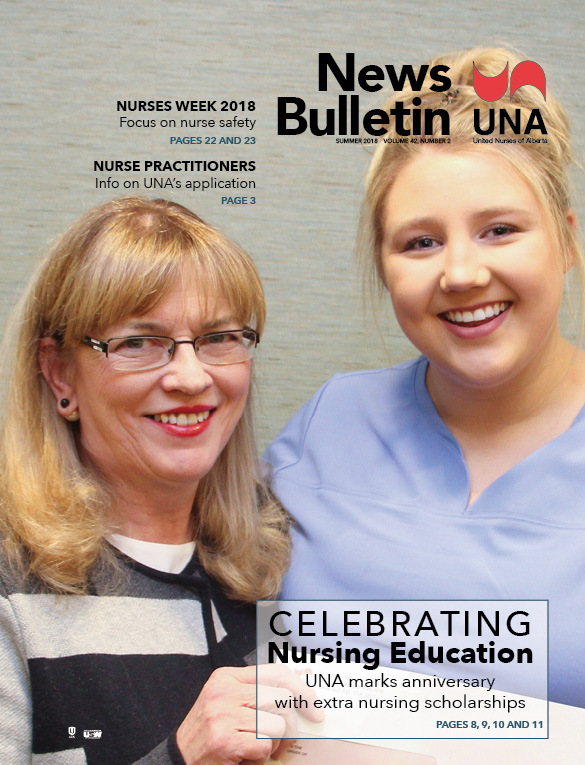 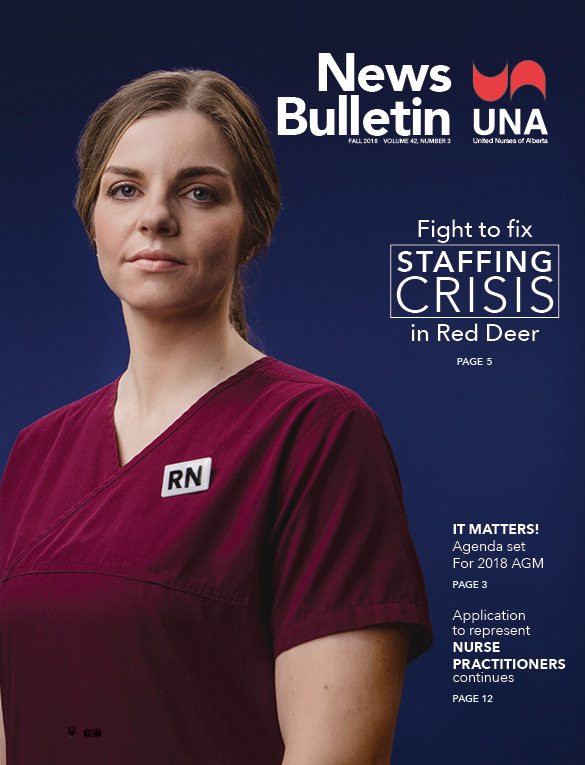 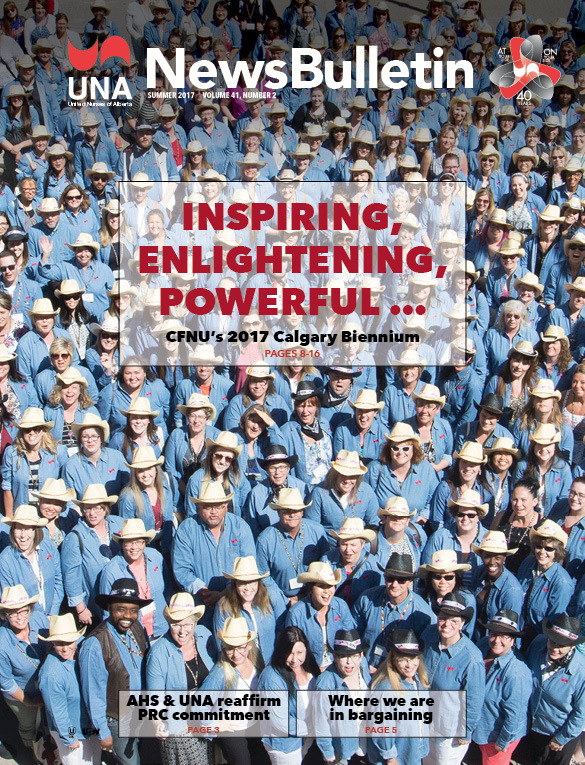 The NewsBulletin is sent to each of UNA's more than 30,000 members and is the most direct way that UNA communicates with nurses.